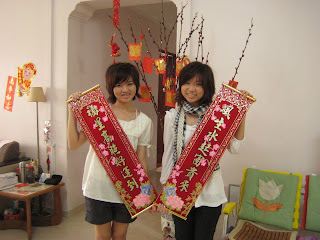 Before we go out, we take pictures with the beautiful decorations my dad does every year. 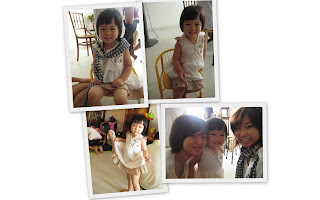 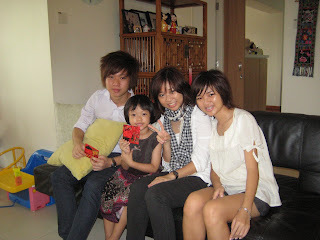 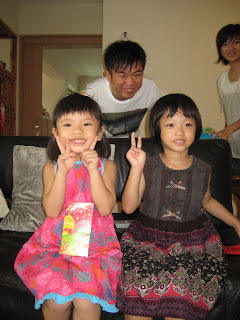 My cousin's hairstyle and fashion changed, and my cousin thought he was my boyfriend -_-"
My niece and cousin are of same age(4).. 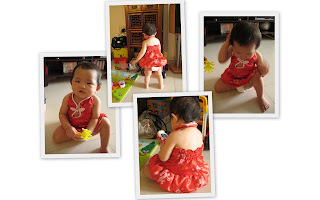 Wearing a mini version of Cheongsam. 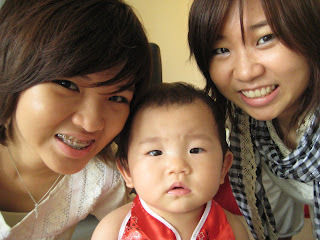 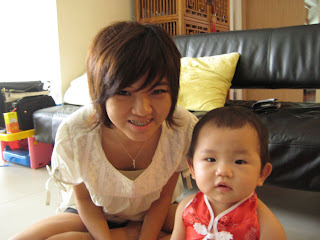 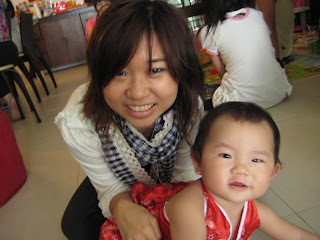 Elder sister of the Cheongsam baby. 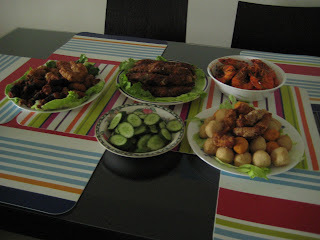 My family went to watch Red Cliff 2 at 10pm.